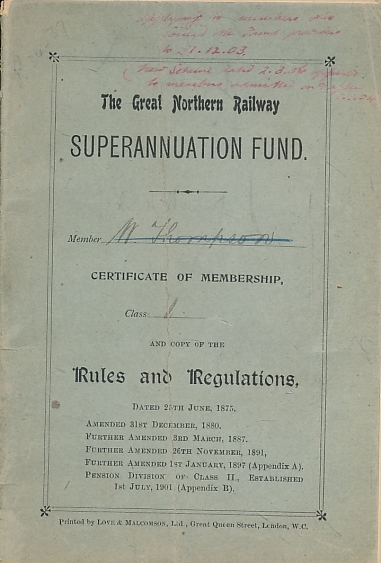 Barter Books : GNR : The Great Northern Railway Superannuation Fund. Rules and Regulations. 180 x 120 mm (7 x 5 inches) - 41pp.